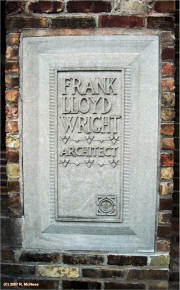 Frank Lloyd Wright - List of properties. 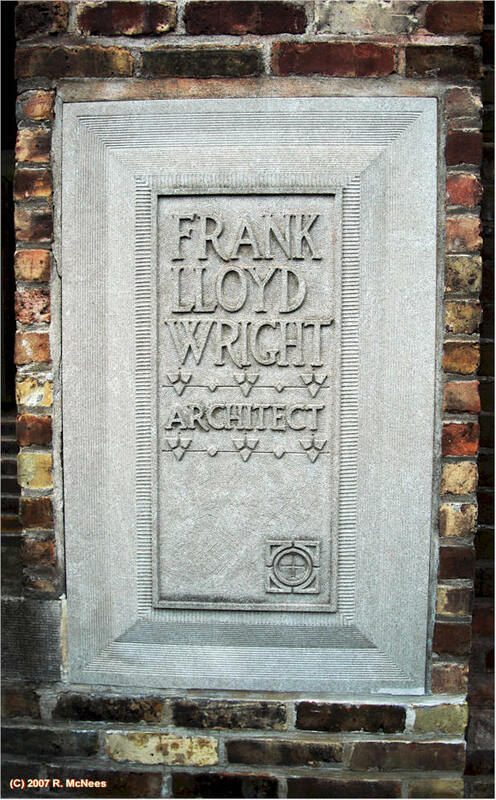 FrankLloydWrightinfo.com/ - Authoritative site by William Allin Storrer, Ph.D., adjunct professor of architecture at the University of Texas at Austin and author of The Frank Lloyd Wright Companion, and The Architecture of Frank Lloyd Wright, a complete catalog. FrankLloydWrightinfo.com/colorcat.html - all of Wrights works in one book - numerical sequence index of all Wright works. What is Prairie School Architecture? See below. Walter Burley Griffin Society of America web site. Our mission is to preserve the legacy of architects Walter Burley Griffin and Marion Mahony Griffin and the Prairie School of Architecture. Brother of architect Cecil Corwin, a prot�g� of Frank Lloyd Wright, Charles Corwin made architectural renderings for Wright and painted a mural in the playroom of Wright�s home in Oak Park, Illinois. Farnsworth House - Built by Ludwig Mies van der Rohe in 1951 and located near Plano, Illinois, is one of the most famous examples of modernist domestic architecture. Repeat by Lynn Becker - writings on architecture. Prairie Avenue Bookshop. An independent bookstore in downtown Chicago serving those interested in architecture and design, whether students, professionals, or general enthusiasts. This page lasted updated 08/03/15 .